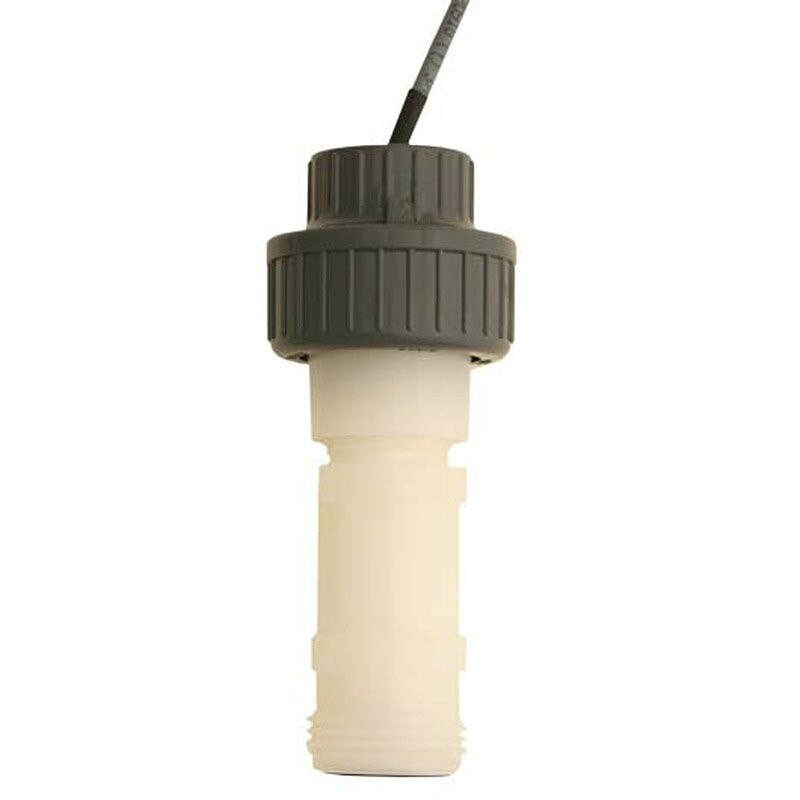 The Signet 2250 Hydrostatic Level Sensor for level and depth control has a one-piece injection moulded PVDF body and ceramic diaphragm for superior compatibility in corrosive liquids. Utilising hydrostatic pressure, the Signet 2250 disregards false level signals from steam vapours, foam or any other debris on the liquid surface. Two pressure ranges allow for optimal resolution matched to your sensing needs. Solid state circuitry eliminates drift (no internal potentiometers). These sensors are available with a proprietary digital (S3L) output, or 4 to 20 mA output. The extended cable and capillary tubing with the union connection and a customer supplied conduit, allow submersion in process vessels. PVC Union connection – ¾ in.